Here is a super cute little Snowman Craft for you – a Tea Light Snowman – I love how quick and easy it is to make this snowman.. and that you can use this snowman craft as a Christmas Tree Ornament, or alternatively, add a little pin to the back and you have a fun and festive Seasonal Brooch to wear. We also have a cute Penguin Ornament version! 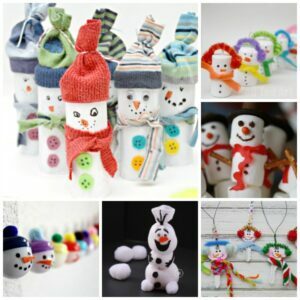 If you love SNOWMEN in general.. do stop by and see these 30+ Snowman Crafts JUST FOR YOU! 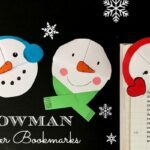 I first spotted this little Snowman many moons ago and have been wanting to make it ever since. 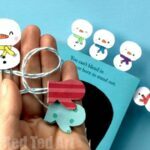 Then a few weeks ago, I pulled together our 30 Snowman Crafts Ideas and featured The Serene Stamper’s tea light snowmen craft. 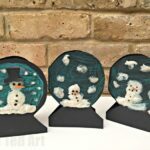 I am not sure if she is the originator of this quirky craft – but it is the one I found!! I do hope I have the right person linked. If it is YOU that invented these, do drop me a line and I can add a link to you too! 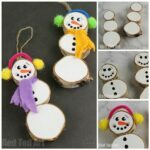 Note: this snowman tealight ornament was first published in Dec 2014 and has been updated and republished for your convenience. 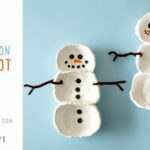 This wonderful Snowman Ornament is also included in our practical, easy to download and print out Christmas Ornament Book. Each craft is shared on one page – making the perfect worksheet print outs. Lovely to have them all in one place too! *I used ribbons and felt, as I had nice patterns and colours, but you can make the hat out of cardboard or craft foam. You can make the scarf from felt, or finger knitting/ french knitting or scraps of fabric. 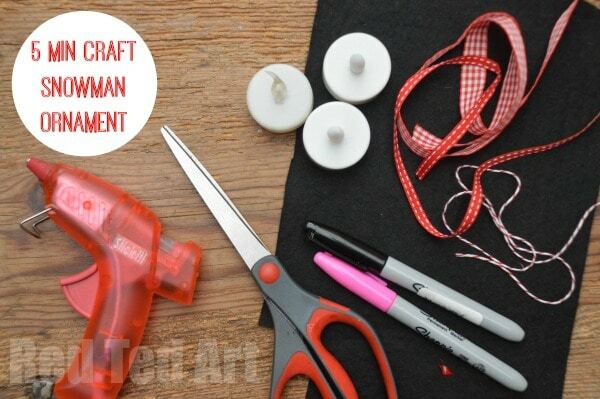 Have a look around in your crafts stash and see what you have! Here is our recently updated How To Video! What do you think? 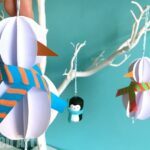 Aren’t they simply super easy to make and fun! 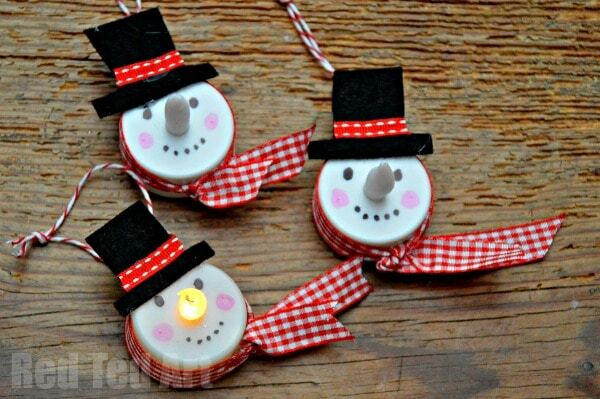 I am now addicted and want to make lots and lots and lots of Tea Light Snowmen! I recently spotted this wonderful Witch Tea Light ornament too – how cute?! And don’t forget to check out our Penguin Tealights too! Aren’t the snowmen simply delightful?! 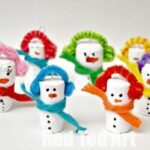 Have fun making your Tea Light Snowman!!!! 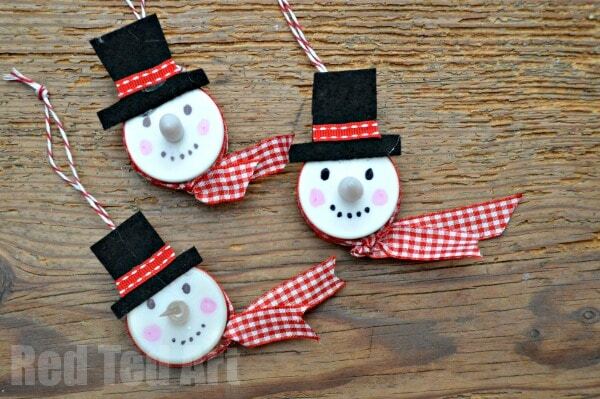 Wow this is just the perfect Christmas craft for the grandparents! 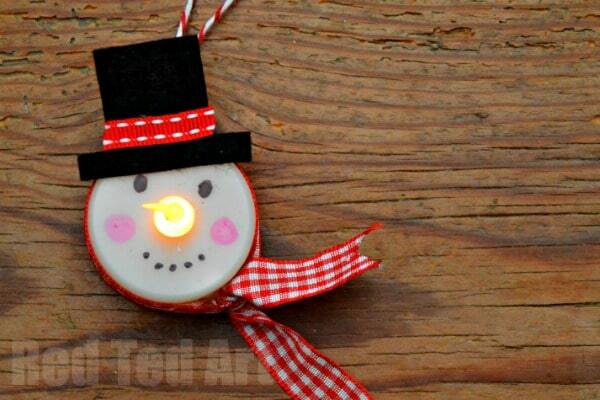 Love your Santa and snow man tea light. Can u do a reindeer?